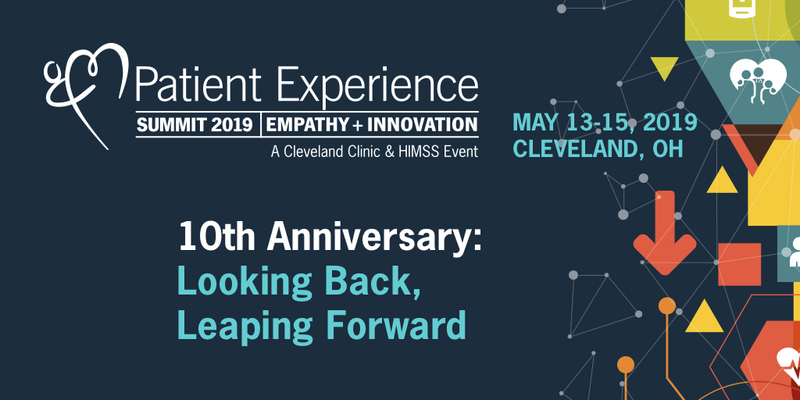 I wanted to make sure you heard the exciting announcement from Cleveland Clinic and HIMSS about the Patient Experience: Empathy + Innovation Summit on May 13-15, 2019 in Cleveland. Join the Northern Ohio Chapter of HIMSS to be part of the largest independent patient experience conference in the world, attracting attendees from 47 states and 35 countries in 2018. Built by the world-renowned Cleveland Clinic team, the summit is the preferred gathering of clinical thought leaders, providers and organizations committed to strengthening empathy and technology to deliver the best clinical, physical and emotional experience to all patients. As a HIMSS Chapter partner of the 2019 Patient Experience Summit, I'd like to personally invite you to join this inspiring event with a $200 registration discount. 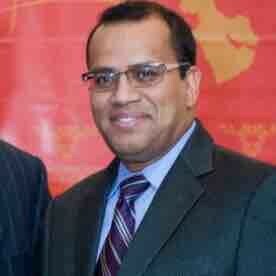 Visit www.empathyandinnovation.com and use discount code HIMSSChapt200 when prompted on the registration page. Hope to see you there! I and the NOHIMSS Board would like to recognize and CONGRATULATE…….Barb Bungard on achieving the designation of FHIMSS (Fellow Member of HIMSS)!! This is a great accomplishment and honor that is bestowed in recognition of Barb’s service, professional participation, job experience, publications, and presentations as a member of HIMSS. Barb Bungard, RN, MSN, CPHIMS has been a dedicated part of the NOHIMSS Board for many years and is currently the elected Secretary for the NOHIMSS Board of Directors and the NOHIMSS Website Administrator. Barb works for Akron Children’s Hospital where she is the Manager of Epic Applications & IT Regulatory Operations where her responsibilities include: Managing Epic ASAP, HIMS, OpTime/Anesthesia, Care Everywhere Applications. Responsible for Collaboration with Clinical Informaticists & Epic Build Team to Support Clinical Decision Support, Responsible for Meaningful Use, TJC and other regulatory related initiatives. Barb also participates in the Ohio Meaningful Use Networking Group. Barb joins Chris Hudak, Ph.D., RN-BC, CPHIMS, FHIMSS (Chair, Education Committee) and Brent Hicks, CPHIMS, FHIMSS (Member At-Large) as other FHIMSS Fellow’s that are currently serving on the NOHIMSS Board of Directors. We are so very proud of all these members of our Board and are very excited to have another one of our hard working and dedicated Board Members achieve the FHIMSS designation. Congratulations Barb and thank you for everything that you do for the NOHIMSS Board and its Membership! Mercy Health will be recognized at the 2019 HIMSS Global Conference & Exhibition, which takes place February 11-15 in Orlando, Florida. Learn more about how Mercy Health has embraced the value of health information and technology: explore three award-winning use cases. Ohio Lt. Governor Mary Taylor will be speaking at the Cross Border Health Foundation Opioid Summit on 9/24 in D.C. to discuss U.S.-Canada relations to address the opioid epidemic. 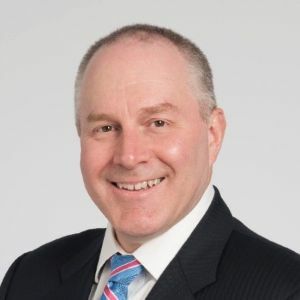 Hal Wolf, HIMSS CEO will be moderating the panel. Lt. Governor Taylor’s two sons have struggled with an addiction to opioids, so this issue is near and dear to her heart. We are seeking presenters for our monthly webinar series in Health Informatics. The purpose of the series is threefold: 1) bring topics of real world relevance to graduate students in Health Informatics to supplement their classroom experience; 2) provide an opportunity for members of NOHIMSS to engage with the students for potential networking, internships and employment; 3) provide an avenue for earning CPHIMS/CAHIMS credit for members of the NOHIMSS Chapter. If you would like to share your knowledge with your peers and students, please respond to this call for presenters by September 30, 2018 end of day. Presentations are limited to 50 minutes with an additional 10 minutes for questions and answers. You may do the presentation from the comfort of your home and/or office. No need to travel to Kent. Presentations will be in webinar format. KSU will provide the WebEx platform and will be responsible for archiving the presentations and delivering CPHIMS/CAHIMS certificates. All members that are interested in presenting are invited and encouraged to submit a presentation proposal. Please keep in mind that the presentation should be educational in nature so the CPHIMS/CAHIMS can be awarded and the students can receive academic credit. Topics that are unique, innovative, or represent current issues in health information technology are sought. We also want to involve as many types of organizations as possible. If selected, you will be contacted by a graduate assistant at KSU to finalize a date and details of your presentation. Your live presentation will be recorded and will be uploaded to the HI Pulse YouTube channel for future viewing. A small token of our gratitude will be presented. If you work for an organization that sells an HIT product or service, the description of your company, logo and contact information must be limited to the last slide only to support the mission of enhancing professional knowledge through education. You are also encouraged to partner with a co-presenter from a Healthcare organization. If selected, you will be required to your final slide presentation for review prior to the event as is required to offer CAHIMS/CPHIMS CEUs to our chapter members. If you are an active duty person who is interested in Health IT or a veteran looking to advance please go to the national HIMSS website at HIMSS Veterans Career Services Initiative. Please contact Amy Justice who has a grant to help veterans and is a veteran herself. Also see bottom of this page for a feature on a fellow veteran. We are proud of our member contributions that helped make Ohio one of the nation’s best Health Information Exchanges – 90% of hospitals have joined an exchange. The CliniSync Health Information Exchange now has 149 hospitals contracted, more than 117 “live” sending results and reports directly to physicians and other providers, more than 400 long-term and post-acute care facilities, and independent physicians in over 1,200 practices.